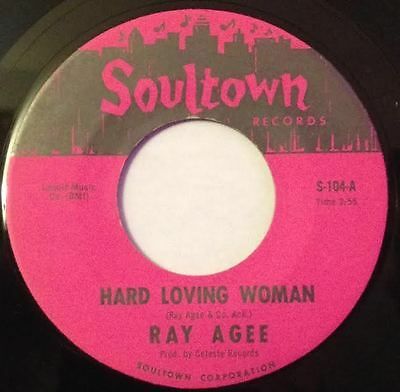 Super rare Blues / Northern Soul gem. Vinyl has some wear, but plays a great without any skips or pops. Sounds fantastic. The record is in brand new condition with no surface marks or deterioration in sound quality. The jacket and any extra items are in perfect condition. The record shows signs of having been played but there is negligible loss in sound quality. The jacket may have slight wear or creasing. The record has been played many times but shows no significant deterioration in sound quality, despite noticeable surface marks. Normal wear and tear on the jacket, without any major defects, is acceptable. The record has been played enough that the sound quality has deteriorated noticeably and may have light pops and skips. The jacket may suffer from folding, scuffing of edges, spine splits or discoloration. The record is playable but was not properly cared for and plays with extensive surface noise overriding sound and may skip considerably. The jacket may be torn, stained or defaced. The record is unplayable and probably broken and is only of use as a collection filler. Items are stored in a cool, smoke free environment and will be shipped in sturdy packaging. Any questions about pressings, grading etc. are welcome. Combined shipping total available for multiple purchases. Buyer pays$3.00 First Class U.S. Shipping + handling, more outside of the U.S.. Priority Mail (2-3 days) upgrade available for additional $3.